New research from the University of Michigan suggests a reluctance to accept Al Jazeera English in the U.S. 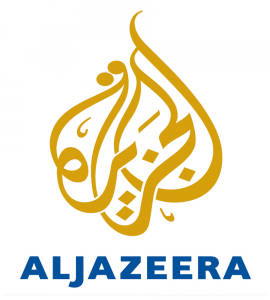 Throughout the recent uprisings in North Africa, Al Jazeera English (AJE) was the primary source of information for media all over the world, influencing international public opinion. For the first time since its appearance in 2006, the English-language channel of the Qatar-based broadcaster succeeded in giving itself a “global identity,” daring to challenge CNN and the BBC. A dramatic shift followed the events in North Africa this past spring. Even the White House announced having followed the AJE coverage of the uprising in Egypt. Many media analysts and managers in Doha began speaking of “Al Jazeera’s moment,” referring to the better-known “CNN moment” related to the Gulf War, when Ted Turner’s channel began broadcasting from Kuwait 24/7, covering the invasion and consequential war. Did the Egyptian events instigate a similar turning point for Al Jazeera? On the other hand, do the prejudice and allegations of bias against the Qatar broadcaster still rule in the U.S.? A recent study conducted by Katie Brown and Alex Youmans of the University of Michigan raises such questions. The research, titled, “After Egypt: Can Al Jazeera English leverage its “moment” into an American audience,” and published in Arab Media & Society, explores how American viewers evaluate journalistic pieces broadcast by AJE rather than via an American channel. Referring to Hovland and Weiss’ studies on the perceived credibility of information sources, Youmans and Brown ­- via MTurk, the Amazon crowd-sourcing platform – gathered 177 Americans, 98 percent of whom weren’t regular AJE or CNN viewers. A first group was given an AJE video on the topic of mediation between the Taliban and the Afghan government; a second group was shown the same news footage modified with the CNN logo and graphics; and a third group did not view either video. All interviewees were then asked to answer a questionnaire with queries on the level of fairness displayed by Al Jazeera English and CNN. Those who had seen the “official” Al Jazeera footage (with the AJE logo) defined the video as “biased” giving quite similar answers to the third group which actually had not viewed either video. On the contrary, the second group of participants who had seen the video modified with the CNN graphics found the news footage to be fair and considered CNN less “biased” compared to the third group’s evaluations. In essence, the AJE or the CNN logos can strongly influence the perception of the same news. According to Youmans and Brown, Americans can’t assess Al Jazeera English without restraint: 40 percent of the sample claimed to be indifferent about the AJE; 25 percent would be generally interested but unlikely to make a public request for AJE, and the last 20 percent claimed to be opposed to AJE. For these reasons the Al Jazeera English “moment” seems to have reached a confined minority of the U.S. population, the same who’ve perhaps already been privy to the Qatar channel via the Internet, social networks or YouTube. 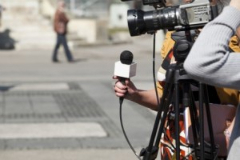 According to the researchers, ideological barriers could slow AJE’s diffusion on American networks. In order to defeat widespread aversion to its transmissions, Al Jazeera English seems banished to the Internet and alternative channels in order to leverage its distribution area. Perhaps this strategy won’t rapidly bring AJE to wide acknowledgment, but it may help develop a conscious and loyal public ready to host AJE in its living room.